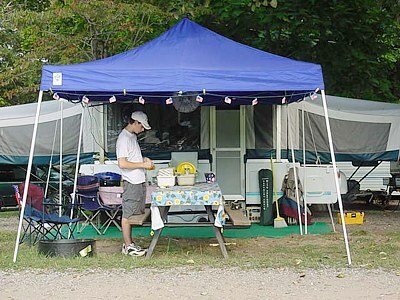 We offer Patio full hookup pull through sites, Pull through full hookup sites, Lake Front full hookup sites,Water & Electric sites, and tent sites. We have any type of site you may need. Full Hook-up, Water/Electric, and tents. We have them all. 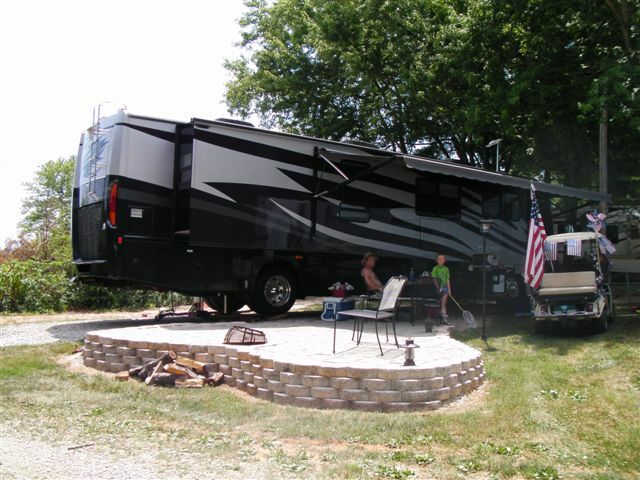 Whether you are new to camping or just getting started in camping, are a seasoned camper or if you just enjoy the closeness with the great outdoors we have a camp site ready for you. 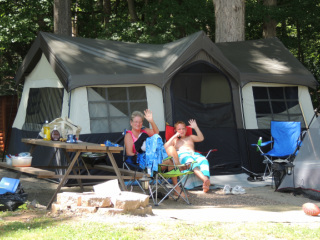 We offer primitive bare bones tent sites located away from the crowd in Possum Hollow, or tent sites located close to the bathhouse, some tent sites have water & electric and some without. 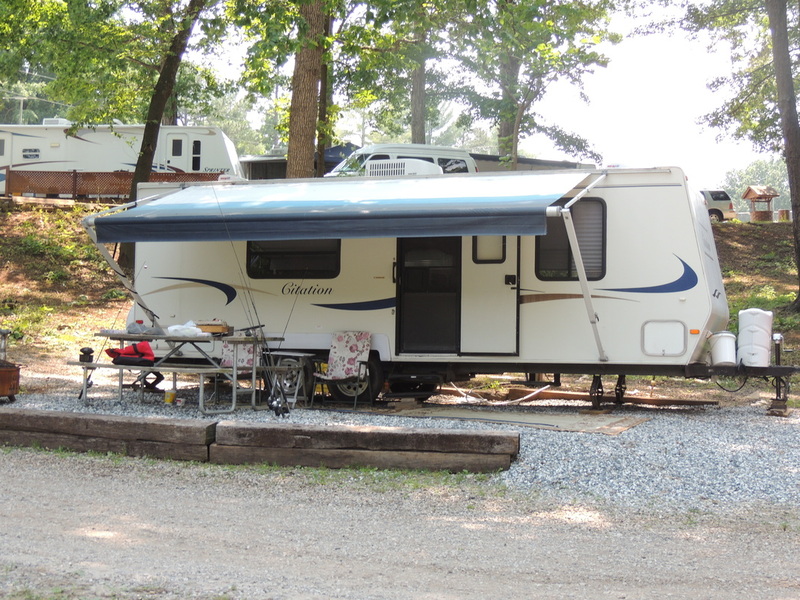 We have 50/30 Amp full hook-u p pull through, 50/30 Amp Patio full hook-up pull through, 50/30 Amp Lake Front full hook-up pull throught, 30 Amp Lake Front full hook-up back ins, 30 Amp water & electric pull through sites for pop-up's or camper van with air conditioning, some are back ins. 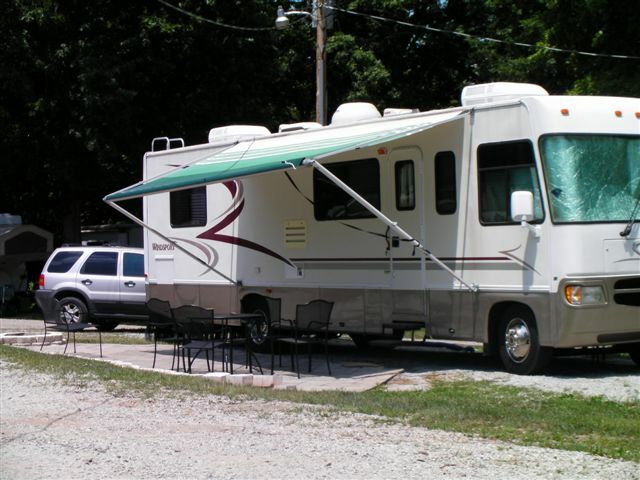 Most of our sites are close to our pool, bathhouse, pavilion, play area, game room, camp store and Jumping Pillow. 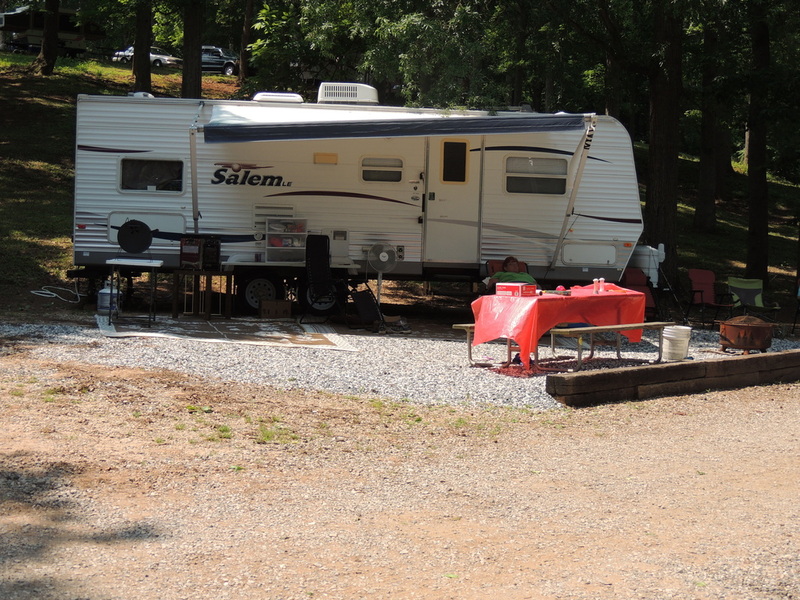 The Lake Front sites are located down the hill from our bathhouse, game room, pool, camp store and playground area. But they are the close to our fishing pond for the avid fisherman. 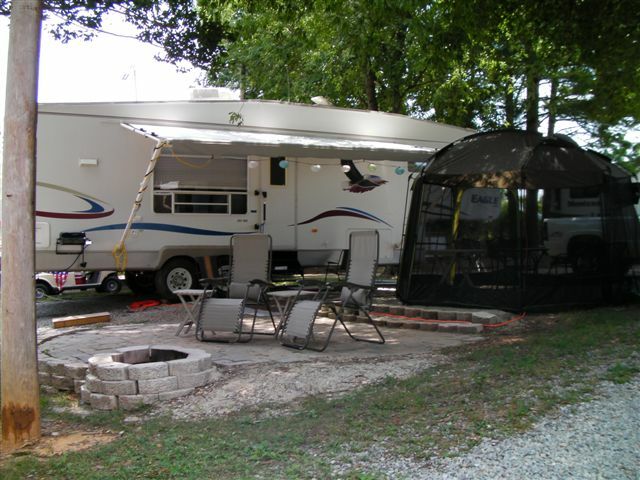 Most campsites have a picnic table and fire ring/pit to help make your stay with us the best it can be. Our Patio sites have a patio table with four chairs (some have a bench for two), fire ring area, all for your enjoyment. 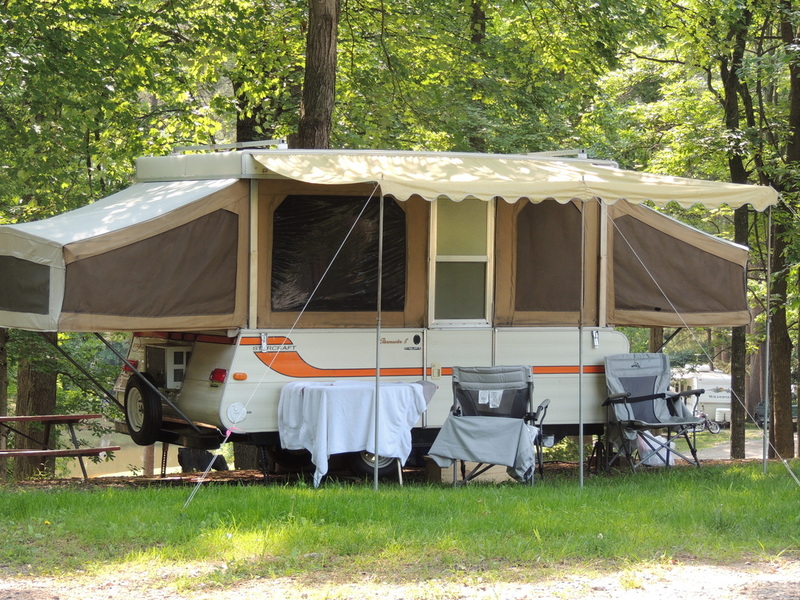 New in the summer of 2014, camp sites have 48 channel cable with the exception of tent sites 41, 42, 44 - 50, Possum Hollow tent sites.